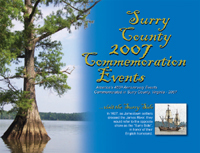 .A 16 page publication illustrating the events presented in 2007 to commemorate the 400th anniversary of the founding of Jamestown. 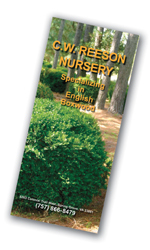 .This brochure lists the products and services offered. .Basic elements of the ad are retained with a QR code linked to a page on the website for tracking. 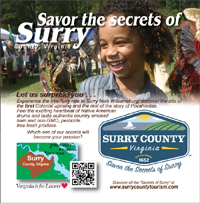 Surry County Tourism ad for the Smithfield Times. Ad size 10 x 10". 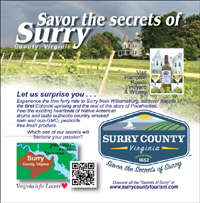 Surry County Tourism ad for the Virginia Travel Guide. This version features the Hampton Roads Winery. 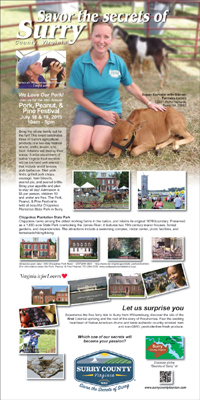 This ad features the Chippokes State Park Beach.
. This ad features the Chippokes State Park Beach. 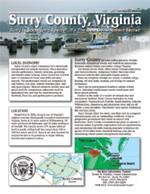 Instead of the larger brochure, the rack card offers an abbreviated amount of information to promote the County.